Seatwave is a ticket-selling marketplace that creates a space for people to sell and buy tickets to events like concerts, sports events, theatre and comedy shows and festivals. On the site you can usually find tickets for events that may have sold out quickly, or for popular shows that people have changed their minds about going to and have therefore decided to sell their tickets on. Ticket prices on Seatwave are usually higher than original prices as the people selling the tickets through Seatwave decide the prices advertised, but there is the opportunity to search for cheaper tickets while you are searching the ticket options they have. 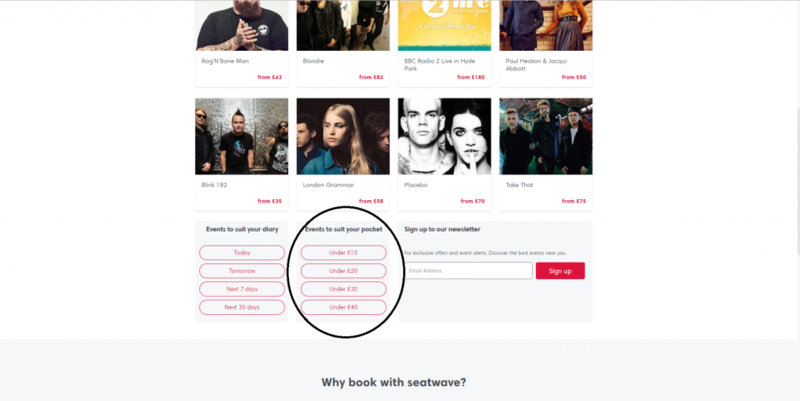 Seatwave’s website is fairly user-friendly as all of their sales are done through this website, so it is therefore important to make sure that anyone can use it to buy tickets to shows and events for any number of things. There is easy access to all the parts of the website that you need, and you can get to anything that you are searching for easily through their home page, meaning you won’t have to go searching to buy tickets for the event that you’ve been looking to treat yourself to. Seatwave is a third-party ticket selling marketplace which means that they don’t own any of the tickets that are being sold and therefore don’t have any control over the prices or number of tickets available, but are happy to try and help you with anything that you might need help with while you’re using their website. If you are using Seatwave you can be looking to either buy or sell tickets, so there is a variety of different ways that you can use the website. If you are looking to buy tickets from Seatwave then there is a variety of opportunities for you to find the ticket for the event that you’re searching for. Whereas, if you are selling a ticket then there is a specific way you can set up your ticket for sale which is a quick and easy way to earn money from the site. 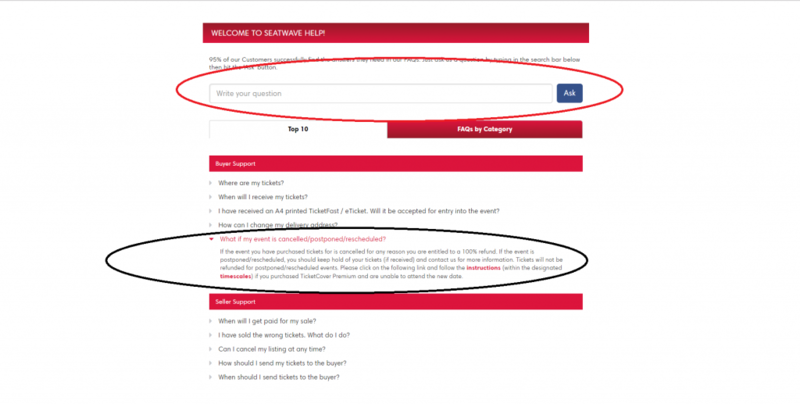 When you are buying a ticket through Seatwave there are a lot of ways you can find the ticket you are looking for, depending on if you are looking for something specific or if you are just browsing through the tickets they are selling. When you visit their home page they advertise a variety of their events that shows the tickets that are most popular and have possibly either been searched for most or have had the most interest expressed in them online. You can search their What’s Hot section to see an overview of all the most popular tickets as well as being able to select through their sections including concerts, sports, theatre, comedy and festivals to see the most popular tickets in each genre. 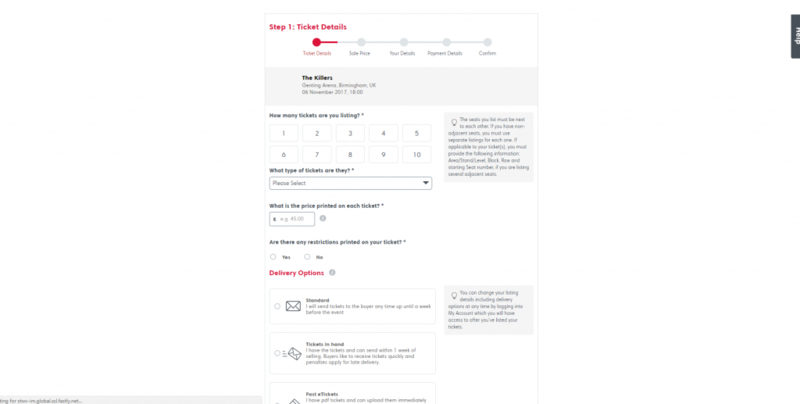 However, there are other ways to look for tickets, so to see how to find your tickets you should take a look at the options you have for searching. Depending on what kind of event you would like to attend, your best bet at finding tickets that you’re looking for is by selecting one of the sections available on the website: concerts, sport, theatre, comedy and festival. When you select any of the sections you are offered with a selection of ways to browse through the tickets, including the chance to see the hottest tickets, browsing through the selections a-z and also a host of genres relating to each section. These selections make it easier to find the type of ticket you are looking for, whether you are searching for a specific event or if you are just looking to browse through one genre. 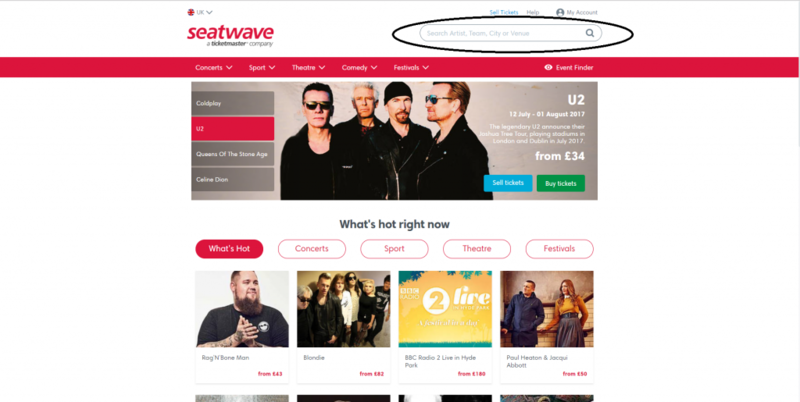 If you have visited Seatwave with a specific ticket purchase in mind then the easiest option for you to find tickets for that event is to use the search bar provided on the site which will look for tickets matching the artist, team, city or venue that you have searched for. If you are looking to attend an event on a specific date in a specific location and would like to browse the options you have available to you then you can use the event finder to input your location, the date you wish to find tickets for and what kind of event you would like to attend. From here Seatwave will find all of the best options that they can recommend to you from the information you have input. 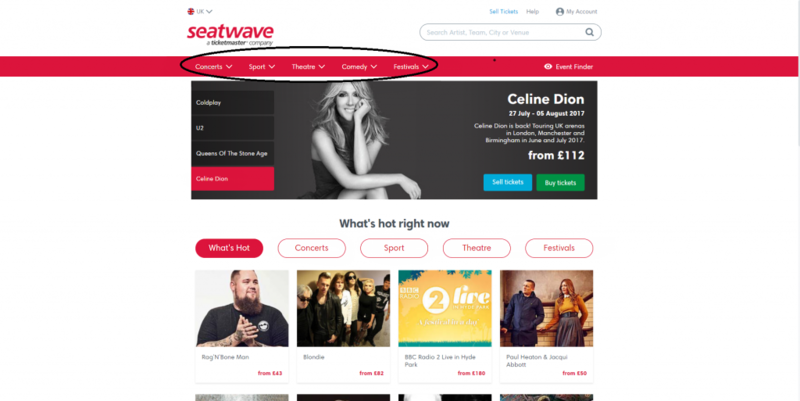 If you have a date available and would like to find an event to fill your time then Seatwave give you the option to search for ‘events to suit your diary’ meaning that they will find you events available within a certain time limit and from there you can edit the options to find an event that you would like to buy tickets for. 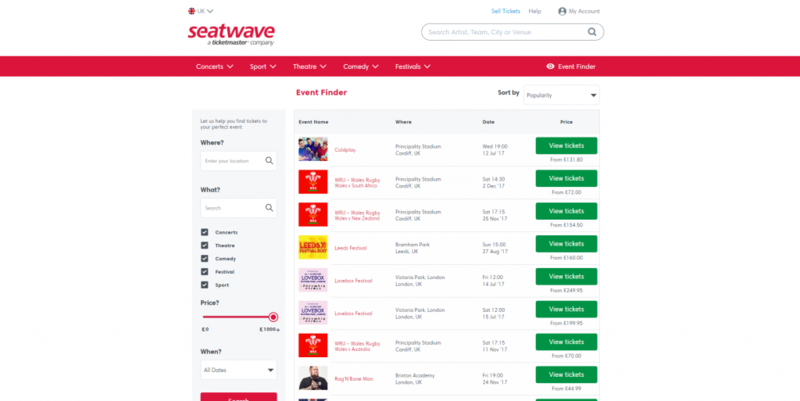 If you are looking for tickets for an event but you’re on a budget then you can use the opportunity Seatwave provides to search for ‘events to suit your pocket’. From here you can search for tickets available for under £10, £20, £30 and £40, so you can ensure that you won’t be shocked by surprise prices that you can’t afford to pay for when you are searching for an event. When you have found the event that you’ve decided you would like to purchase tickets for then you will be brought through to this page where you can choose how many tickets you would like, whether they will be seated or not and, if they are seated, what section you would like to be sat in. Here is where you will have the chance to find a cheap ticket as in many cases similar tickets may have a slight price difference depending on seating position, how many tickets the seller has and also mainly on how much the seller has decided they would like for the tickets. Very often, Seatwave will inform you if there is a limited amount of tickets left for the event, and how many tickets are available for certain seating arrangements. Once you have chosen the amount of tickets you would like to buy and the seating arrangement you will be in, you will be led to this page that will show you the pricing for your tickets (including the booking fee), and will ask you to input your details. Here you will also be asked to provide a delivery access if your tickets are physical, or you can arrange a place to collect your tickets from on the day of the event to ensure that your tickets get to you safely, and will also be shown all delivery and collectfrom costs. 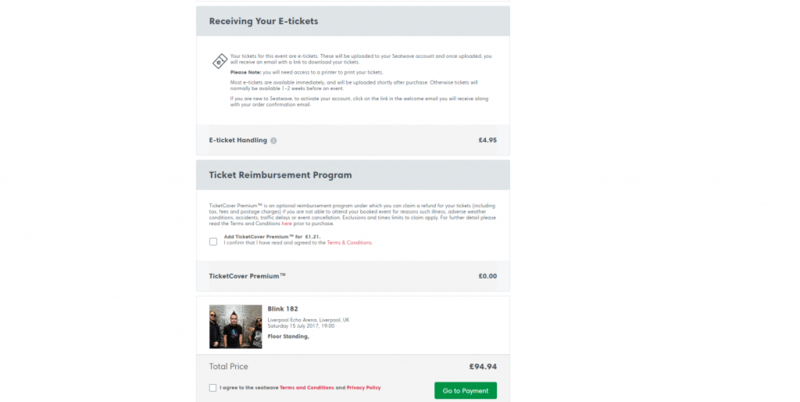 If your tickets are e-tickets instead then you can set up the chance to print your tickets out immediately so you can have them to hand as quickly as possible, and you can view the price for how much the e-ticket handling will cost. You also have the opportunity to set up a ticket reimbursement program which ensures that you can apply for a refund on your money if you’re not able to attend your event because of reasons like illness, adverse weather conditions, accidents, traffic delays or event cancellation. It is a small cost that can be useful to ensure that you can ask for a refund if something happens to you, and is better to have as Seatwave cannot provide refunds themselves and must contact the event provider in the event of a reimbursement. At the end of this, you will find your overall ticket price so that you can be aware of all the charges added to your total price. If something has happened after you’ve purchased your ticket and the event has had to be cancelled then there is a chance you will be able to receive a refund on your purchase. 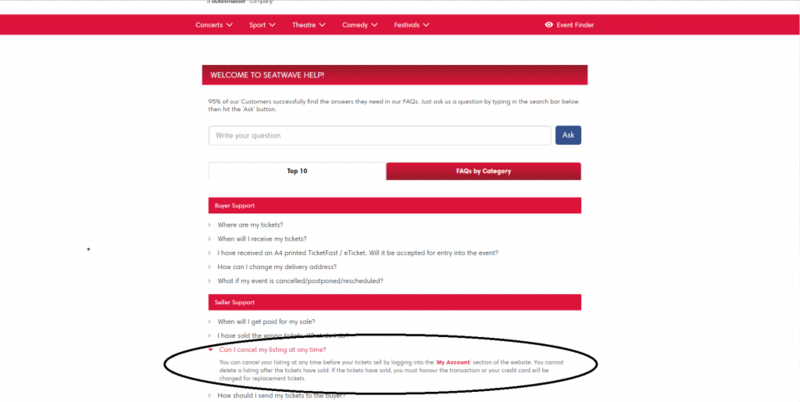 If you visit the help section on Seatwave then you can find information on event cancellations, which informs you that you are fully entitled to a refund, and offers you a page to visit as long as you have made sure to purchase TicketCover Premium when you bought your tickets which ensures that you will be reimbursed in the event of cancellation. If your event has been rescheduled or postponed but you cannot attend the new date then you can also apply for a refund if you bought TicketCover Premium. 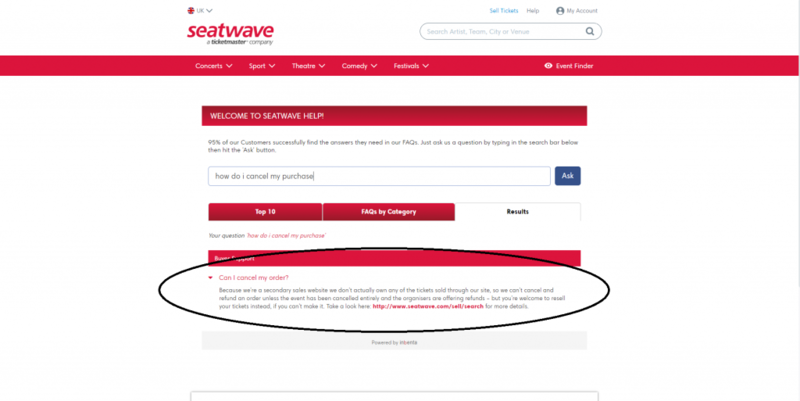 If you’ve bought a ticket for an event from Seatwave and now find yourself unable to attend for whatever reason, you can’t, unfortunately, apply for a refund as Seatwave is a third-party seller and therefore doesn’t actually own any of the tickets sold through the site. The only option you are offered in this situation is that you can apply to resell your tickets through Seatwave. More information on this can be found by visiting the help page on the Seatwave website. If you’ve listed your tickets as for sale on Seatwave and change your mind before they are sold then you can cancel your listing at any time, yet if your tickets have sold then you cannot cancel the purchase and must follow through with the sale, or your card will be charged for replacement tickets. If you’re looking to sell a ticket with Seatwave it’s easier than you’d think. When you visit their website you can head to the ‘Sell Tickets’ section in the right-hand corner which will lead you to a page where you can search for the event that you’d like to sell tickets for, and once you have found this page and selected where and when your tickets are applicable for you will be given the chance to upload your tickets details, including how many you have to sell, how much you would like to sell them for and how you would like the tickets to be transferred (standard, e-tickets etc.). 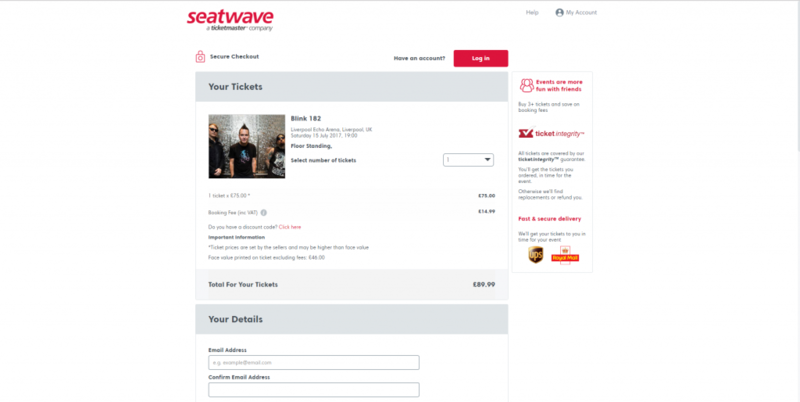 Throughout this process, Seatwave gives you advice for how best to sell your tickets, ie the best way to send them and how you would like them to be sold (individually, in pairs, all together). Once you have input all of the details about your ticket you have the chance to decide on your pricing and selling preferences. Seatwave provide you with information on the average prices for sales on tickets for the event you are selling for, and will you inform you how your tickets rate in relation to pricing of other tickets on sale, as well as showing how much you will be charged for VAT and the success fee, which will then give you the overall price you will receive from your sale. From here you are asked simply to input your own personal details and your payment details and Seatwave will confirm your sale with you. 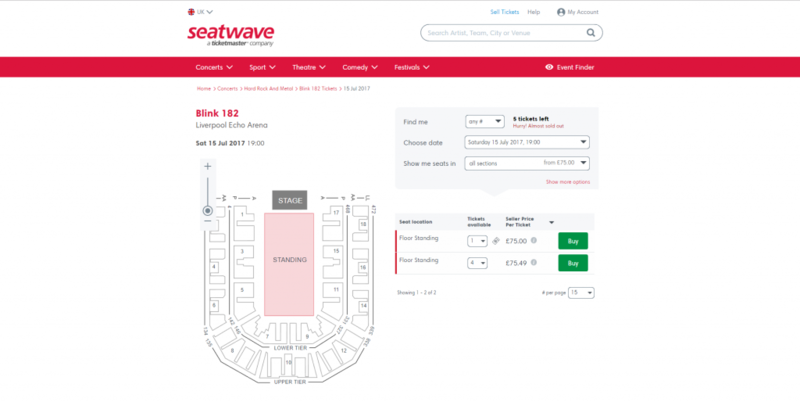 With this, your tickets are available for sale immediately on Seatwave where someone can buy them as soon as you have confirmed them.